EUROPEAN CULTURE - Scarves gauze fringe stripes. 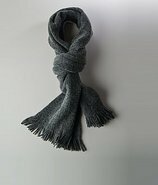 VERO MODA - Scarves knitted no appliqu ©s solid color lightweight sweater. PIECES - Scarves gauze no appliqu ©s stripes.
. - Scarves plain weave fringe stripes. 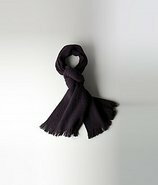 PEUTEREY - Scarves plain weave logo fringe basic solid color.
. - Scarves organza satin no appliqu ©s solid color. INC International - I.n.c. Rose Love Square Scarf, Created for Macy's Crochet traces the edges of an I.n.c. International Concepts square scarf printed in flowers and L.o.v.e. letters. Echo - A variation of colorful stripes bring a fresh perspective to the Echo Colorful Stripe Square Scarf. Tommy Hilfiger - Scarves gauze fringe stripes. GIGUE - Scarves plain weave lam © stripes fringe. 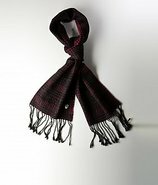 Armani - Scarves geometric design.
. - MARINA D'ESTE Scarves plain weave fringe houndstooth. Echo - Rose Cotton Garden Bandana Brighten your look with the classic style of this cotton printed scarf from Echo Rose. 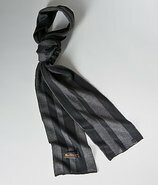 STEFANEL - Scarves gauze stripes no appliqu ©s. 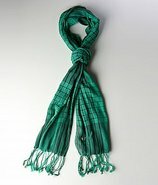 PIECES - Scarves flannel no appliqu ©s two-tone. GIGUE - Scarves plain weave fringe floral design. PINK MEMORIES - Scarves Lace Knitted No appliqu ©s Solid color Lightweight sweater.
. - MARINA D'ESTE Scarves plain weave sequined logo stripes. ALTEA - Scarves gauze fringe multicolor pattern.
. - Scarves plain weave tassels multicolor pattern.